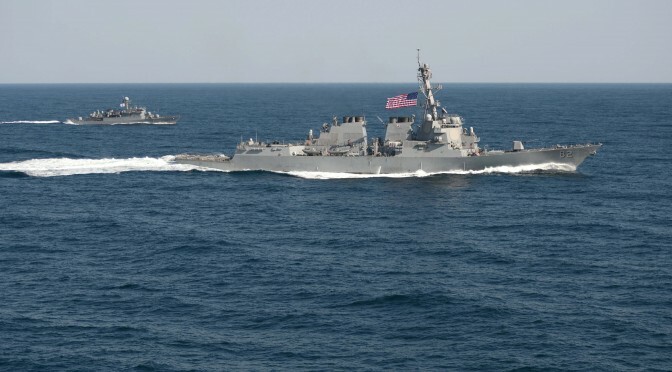 The eagerly-anticipated Freedom of Navigation Operation (FONOP) by the United States Navy (USN) in the South China Sea was initially viewed as a strong demonstration of the United States’ resolve that the waters surrounding China’s artificial islands and claimed reefs are high seas. China’s attempt to establish a de facto 12 nautical mile territorial sea around these features is, as most readers of CIMSEC will know, in direct contravention of the United Nations Convention on the Law of the Sea (UNCLOS). UNCLOS clearly specifies that man-made islands and underwater features like reefs are not eligible for the 12NM zone granted to more robust geographic features, such as rocks or naturally-formed islands capable of sustaining human habitation or economic life; the latter of these are also eligible for the prized 200 NM Exclusive Economic Zone. Acknowledging implicitly that their features are not legally entitled to any kind of territorial sea, the Chinese instead have attempted to establish a normative regime aiming to make other actors treat the waters surrounding their features as though it were a territorial sea. Under customary international law, consistent behavior towards a particular issue can result in the practice becoming legally binding, either through generally agreed norms of behavior or a gradual solidification it into written law. Thus, for countries wishing to prevent the high seas around the Chinese features from becoming a territorial reality, it is crucial for interested parties to halt the norm-creation process before it can gather steam. To do this, the USN thus carried out its first FONOP, sending the Arleigh Burke class destroyer USS Lassen within 12 NM of the Chinese build-up on Subi Reef. However, simply sailing within 12 NM is not sufficient to demonstrate American resolve that the waters are high seas. Rather, the Lassen had to have behaved within those 12 NM in the same manner allowed on high seas. Under UNCLOS, a warship on the high seas may carry out its whole array of activities including launching helicopters, turning on fire-control radars, and carrying out arms exercises. However, these and other activities (including fishing and research) are all prohibited when sailing in another country’s 12 NM territorial waters – a condition known as “innocent passage”, detailed under UNCLOS Part II, Article 19. -Had this been done within 12 NM of Subi Reef, America’s commitment to Freedom of Navigation would be unambiguous. Thus, in order for the USN to send the unequivocal message that it saw the 12 NM around Subi Reef as high seas, it had to have carried out at least one of those activities. Else, its transit would have been identical in form to that of an innocent passage, which is only required for territorial waters. Carrying out such a transit would therefore legitimize, or at least be viewed as legitimizing, the Chinese claim that Subi Reef has a 12 NM territorial sea. In so doing, Lassen’s voyage, far from contesting the Chinese position, would actually reinforce it by behaving in the same way it would have to in an actual territorial sea. So how did Lassen actually behave during its transit? It appears more and more likely that Lassen in fact behaved exactly as she would in territorial waters. Sam LaGrone’s post on USNI News quotes US defence officials and sources as stating that Lassen carried out an innocent passage, though claiming it did not mean a recognition of the Chinese position. Lassen’s transit, then, was not any more a FONOP than any regular transit through another state’s territorial waters under the articles of UNCLOS. If the United States wants to demonstrate its resolve on the issue, its FONOPs need to not only sail within 12 NM of a Chinese feature, but also involve activities prohibited under “innocent passage” conditions while in the area. Such activities can be as mundane as lowering a fishing lure over the side, or as visually impressive as launching a Seahawk or UAV. 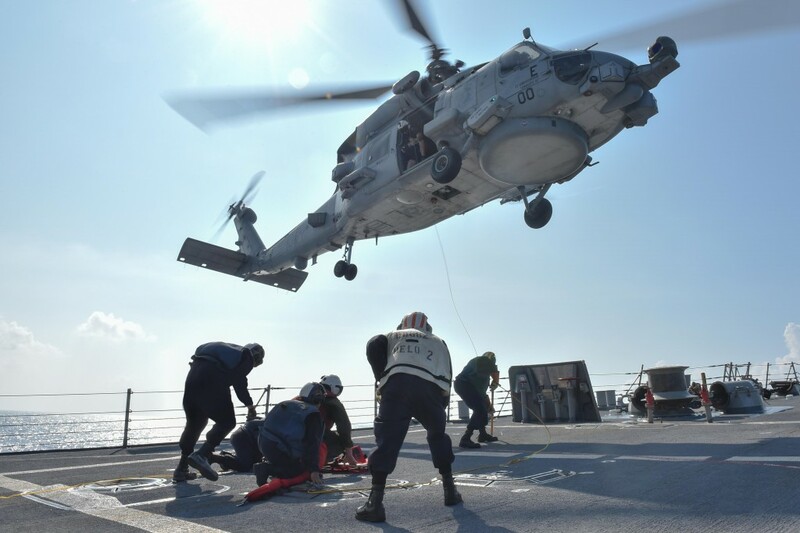 As the US plans for further, more regular FONOPs in the South China Sea, America’s willingness to challenge China on the issue will manifest not in dramatic debates at the United Nations or stern press releases, but in the minute activities of the ships and sailors involved. Photographs and videos of such activities would go far to prove the United States’ unwillingness to compromise on Freedom of Navigation and gain the confidence of its regional allies. A strong and unambiguous message now can nip a problem in the bud before it can fester to point where actual violence may break out. To paraphrase Sun-Tzu, it is much better to defeat an enemy’s strategy than to defeat them in battle. Heading off the Chinese at their own norm-creation game now will decrease the opportunities for misunderstandings leading to violence in the future – but only if the message cannot be misinterpreted. Timothy Choi is a PhD student at the University of Calgary’s Centre for Military & Strategic Studies. Interested in all areas of maritime security and naval affairs, he struggles everyday with the fact that he studies at an institution located hundreds of kilometres away from the nearest ocean. When not on Twitter (@TimmyC62), he can be found building tiny ship models and headbanging to some kind of northern European folk metal. Thank you for your interesting insight. I have though a small question. I wonder whether the operation is just an act of innocent passage, because the manoeuvre included surveillance activities making the whole operation closer to a naval patrol rather than an act of innocent passage. It is not just a ship navigating through waters for the mere purpose of traversing but a patrol that included a surveillance aircraft. To my understanding, this activity can be assimilated to information collection (art. 19. 2. c UNCLOS) and such a patrol cannot be conducted within sovereignty zones. Maybe we should try sending a CSG into the 12 mile zone and launch the air wing as they pass through. I have no doubt they would get that message. A good article . However the writer fails to mention that relaying on the UN Convention for guidance is a weak position for the US. We have never ratified it because a few Republican Senators object. A good article . However the writer fails to mention that relying on the UN Convention for guidance is a weak position for the US. We have never ratified it because a few Republican Senators object. Good Read Tim. But I thought that China has always claimed that it has FULL sovereignty over the SCS because of the “Nine Dash Line,” meaning that they believe the waters are internal, not territorial (much like Canada’s position in the Arctic *nudge*nudge). Unfortunately, China has never actually clarified what the Nine Dash represents. But agreed. The Lasssen could have done more. Some sources have suggested she was followed by an USAF recon flight. A simple communication between the two could have countered the terms of innocent voyage. Meriem also has a good point in the above comments, but you mention that the US confirmed the voyage was done under the terms of innocent passage. But hey, just wait another six weeks! The Deputy Security Advisor is quoted (in Reuters, I believe) as saying the US is planning two such voyages per quarter! The US is a miilion miles from SEA and yet wants to sail its navy in China’s backyard.Imho.this is a deliberate provocation to goad the PLA into attacking the US ship.The Chinese haven’t so because they know they will be defeated. So why fight when you are weak.For the moment they have to eat humble pie. The PLA is building up the capability so that in the future though they cant match the US military they will make 100% sure the cost s of prevailing for the US aint worth the outlay. Btw,what would the US reaction be if aflotilla of PLA destroyers were cruising off LA?The US will say fo. Very good read, and an interesting angle into the recent South China Sea operation…while at the time we were all cheering at the (long awaited) decision, it could have been more compelling. One can only hope the current administration will take this suggested course of action in future operations.